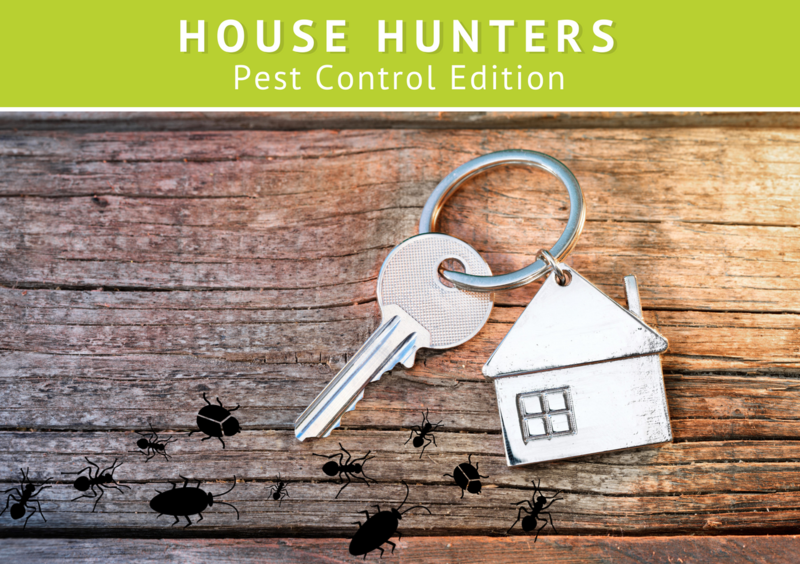 Last month we talked about things that we wished homeowners knew about pest control… but what about the step that comes before homeownership? That’s right, house hunters, we have the red flags that you need to be on the lookout for when shopping for your potential home. And just to be certain, we’ve ranked them on a sliding scale from 1 (cause for concern) to 5 (call us immediately). After all, creepy, crawly past residents aren’t the kind of house warming presents you’d like to receive. There’s no Airbnb for pests, so if you spot any in your potential home, they aren’t there for a short-term stay. Be sure to check their usual hiding places in the kitchen, bathroom, pantry and attic, and if you lay eyes on any multi-legged roommates, ask your realtor about the history of the problem and what’s being done to treat it. You may call them “overhanging branches,” but at Command Pest Control, we call them “rodent roadways.” These shade trees aren’t 100% proof that you’ll have pest problems, but they won’t make future prevention any easier. Unfortunately, pests don’t purchase scented candles. Many, especially rodents, cockroaches and bedbugs, leave behind a musty, oily or urine-like scent. If something smells “off,” the chances are high that it smell like that for a reason. Termites cause more property damage each year than the destruction from flood damage, wildfires, earthquakes and Hurricane Isaac combined. With numbers like that, keep a watchful eye out for weak wood, mud tubes and more that may indicate your home is at the top of termites’ menus. Leaky or moldy pipes are more than just structural issues– they’re neon, flashing “open buffet” signs to creepy crawlies. Investigate the leaks, and place them first on your priority list of things to tackle should you purchase the home. Don’t let the charm of your potential home cause you to put on bug blinders. Rats file down their ever-growing chompers by chewing, so if your walls, floors or property have holes or gnaw marks, your would-be home may be infested. Rodents are creatures of habit, and they leave track marks in their wake to prove it. Look along walls, floors and corners for dark smears of grease. They could be signs of spills, or it could be something more cringe-worthy– like a rat’s oily fur. Whether you choose to make an offer or walk away, calling in a pest professional is always the best way to ensure you’re moving into a home that’s not already packed with pest tenants. Contact our professionals at Command Pest Control before you sign the dotted line, and we’ll give your home a thorough inspection at no cost to you.